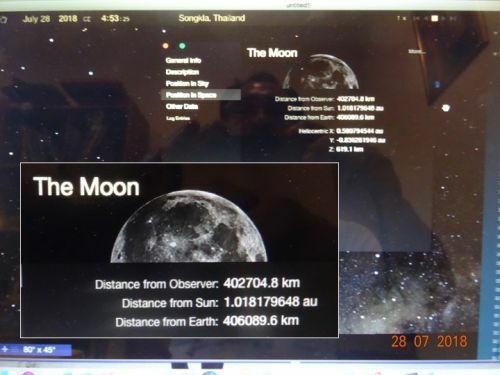 How Far and How Big is the Moon? 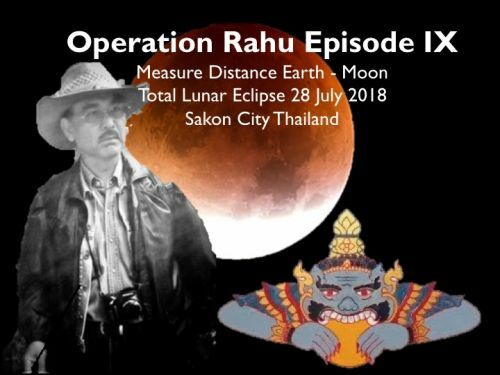 Operation Rahu have been conducting for 8 episodes and this one is the episode IX to measure distance Earth - Moon by using just one photo of partial lunar eclipse on 28 July 2018. 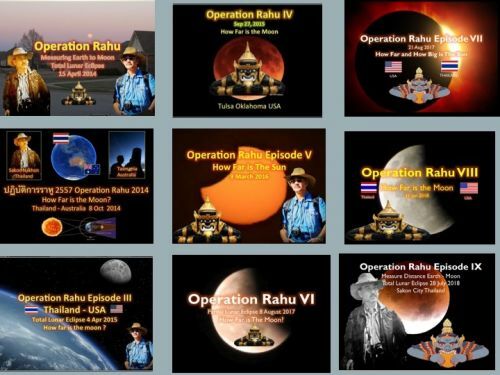 Operation Rahu's methodology is modified from the ancient Greek mathematics invented by Aristarchus of Samon 3rd BC. How do we begin to measure the distance from the earth to the moon? One obvious thought is to measure the angle to the moon from two cities far apart at the same time, and construct a similar triangle, like Thales measuring the distance of the ship at sea. Unfortunately, the angle difference from two points a few hundred miles apart was too small to be measurable by the techniques in use at the time, so that method wouldn't work. 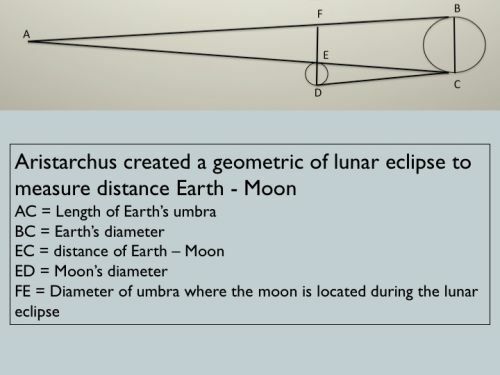 Nevertheless, Greek astronomers, beginning with Aristarchus of Samos (310-230 B.C., approximately) came up with a clever method of finding the moon's distance, by careful observation of a lunar eclipse, which happens when the earth shields the moon from the sun's light. Question: If you used a dime instead of a quarter, how far from your eye would you have to hold it to just block the full moonlight from that eye? How do the different distances relate to the relative sizes of the dime and the quarter? Draw a diagram showing the two conical shadows. Now imagine you're out in space, some distance from the earth, looking at the earth's shadow. (Of course, you could only really see it if you shot out a cloud of tiny particles and watched which of them glistened in the sunlight, and which were in the dark.) 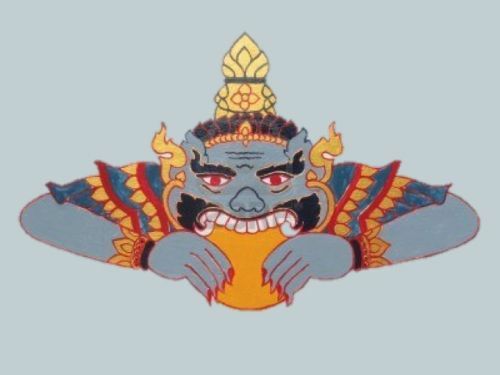 Clearly, the earth's shadow must be conical, just like that from the quarter. And it must also be similar to the quarter's in the technical sense---it must be 108 earth diameters long! 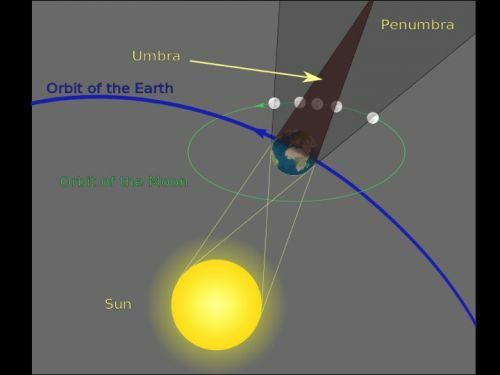 That is because the point of the cone is the furthest point at which the earth can block all the sunlight, and the ratio of that distance to the diameter is determined by the angular size of the sun being blocked. 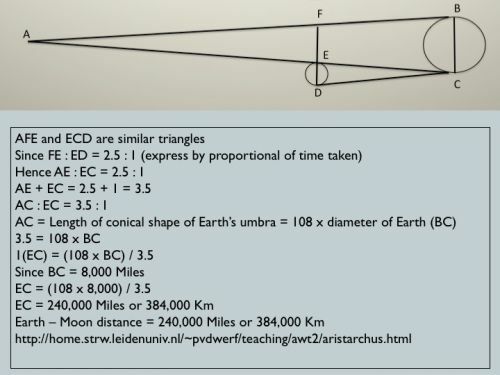 This means the cone is 108 earth diameters long, the far point 864,000 miles from earth. 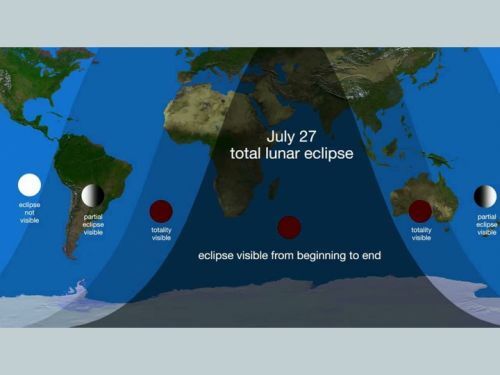 Now, during a total lunar eclipse the moon moves into this cone of darkness. 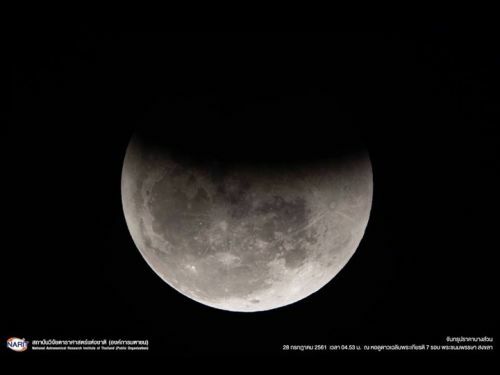 Even when the moon is completely inside the shadow, it can still be dimly seen, because of light scattered by the earth's atmosphere. 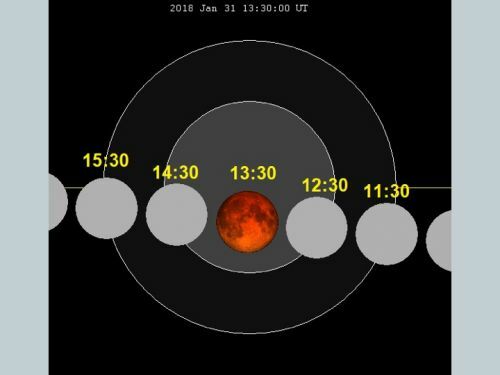 By observing the moon carefully during the eclipse, and seeing how the earth's shadow fell on it, the Greeks found that the diameter of the earth's conical shadow at the distance of the moon was about two-and-a-half times the moon's own diameter. 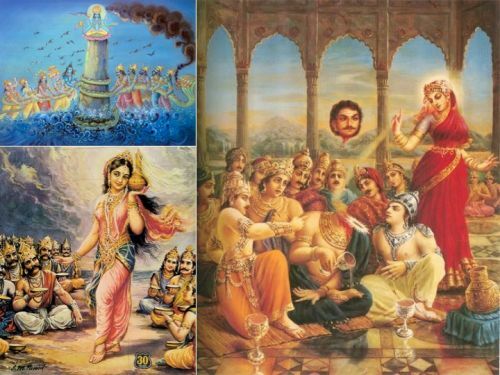 Question: At this point the Greeks knew the size of the earth (approximately a sphere 8,000 miles in diameter) and therefore the size of the earth's conical shadow (length 108 times 8,000 miles). 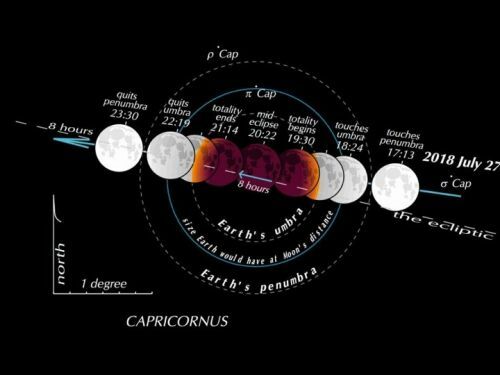 They knew that when the moon passed through the shadow, the shadow diameter at that distance was two and a half times the moon's diameter. Was that enough information to figure out how far away the moon was? 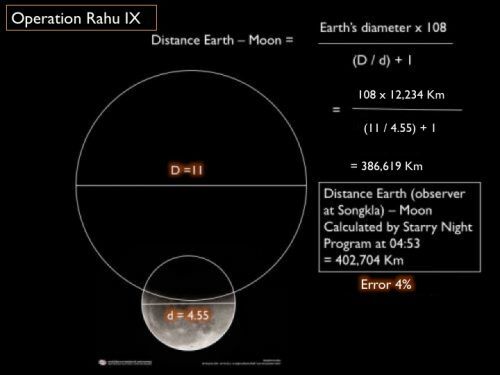 Well, it did tell them the moon was no further away than 108x8,000 = 864,000 miles, otherwise the moon wouldn't pass through the earth's shadow at all! But from what we've said so far, it could be a tiny moon almost 864,000 miles away, passing through that last bit of shadow near the point. 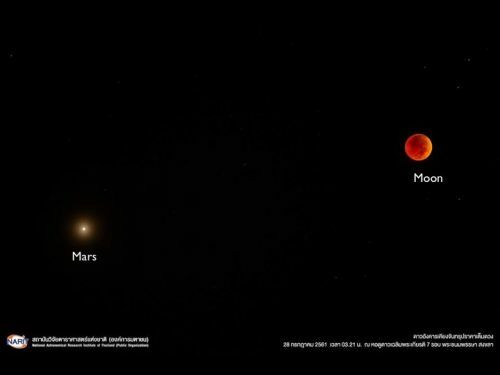 However, such a tiny moon could never cause a solareclipse. 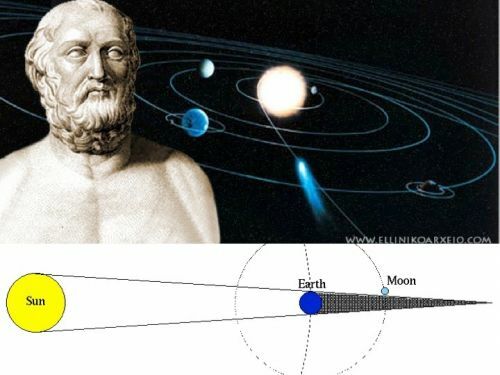 In fact, as the Greeks well knew, the moon is the same apparent size in the sky as the sun. 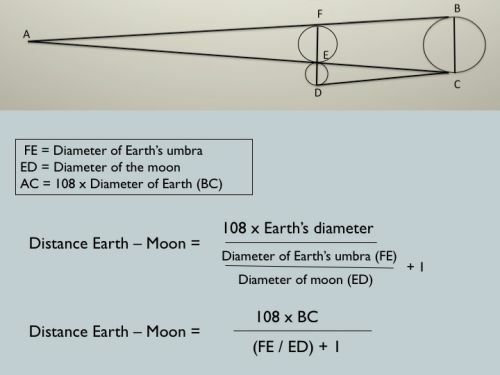 This is the crucial extra fact they used to nail down the moon's distance from earth. 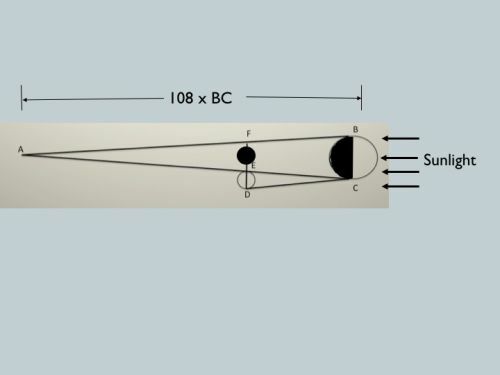 After carefully looking at the ancient Greek mathematics I came to the conclusion that Earth - Moon distance can be calculated by measuring the proportional of diameter of Earth's umbra and diameter of the moon (FE : ED) with the help of one clear photo of partial eclipse as shown in the diagram. 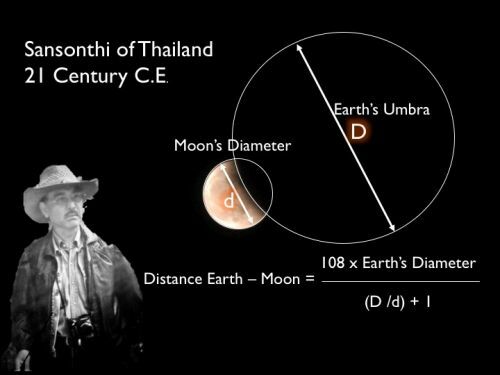 Thanks to the clear photo of partial eclipse taken by Songkla Observatory Thailand, I can easily determine the size of Earth's umbra by drawing a circle to fit the moon's eclipse as well as finding moon's diameter in the same time. 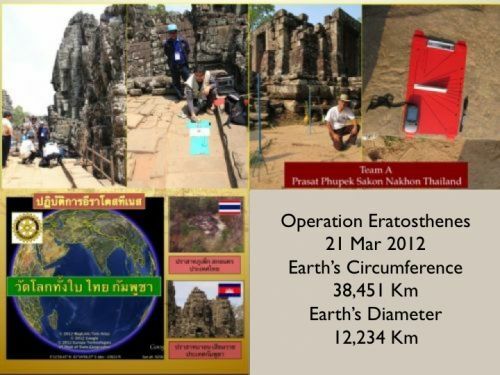 Since Earth's diameter was known by Operation Eratosthenes 21 Mar 2012 so here we go!